This was such an amazing book. In a genre that is quickly being taken over by paranormal romance, this book was like a breath of fresh air to read. 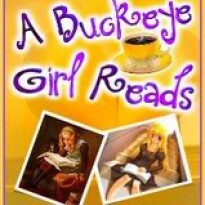 It's a wonderful coming of age story with lots of hidden gems hidden inside the story. 16 year old Mia has just been dumped by her first boyfriend, jack, and can't wait to get away for the summer. Mia and her family used to spend summers in the Hamptons with her cousins every year, but haven't been able to go for awhile. Once in the Hamptons, Mia realizes that she and her cousins have grown worlds apart, and have very little in common. She fears that she is in for a long summer until she meets the boy next door-Simon. He likes Mia for who she is, and unlike when she's around her cousins, Mia doesn't have to pretend to be someone she's not. What happens next is a series of eye opening moments. Not everything the adults or her cousins is what they seem to be on the surface. Another thing I really like was that throughout the book The Great Gatsby by F. Scott Fitzegerald is mentioned, and I love how elements of that story were interlaced with Mia's for a whole new generation to discovered. I also really liked how American Painters such as Milton Avery and Jackson Pollock-hopefully it will make a few readers interested in American Artists From the opening page, I know that something had to happen to make Mia to mature that summer, and I have to admit that I was surprised when the event finally happened. 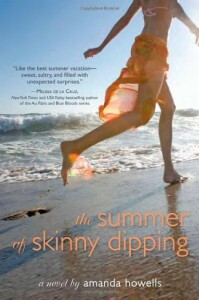 This is the perfect summer book to read, and it reminded me of my own summers spent on the beach. This is Amanda Howells debut book, and I think she's definitely an author to watch out for.